I have just finished a bunch of images for the new CGI Block Game. I drew 15 new blocks for the games pieces that will be reproduced at 3/4″ square. I drew them at 4″, inked them by hand and then colored them very quickly and simply in photoshop. 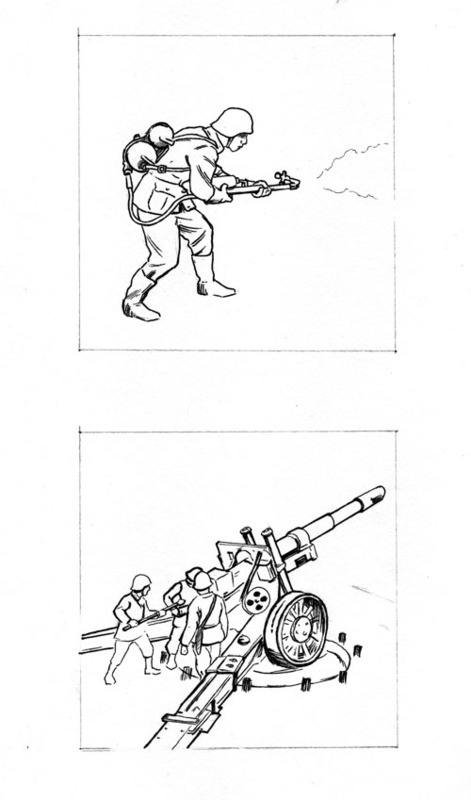 I am no expert on the WWII machinery, so I had to stay pretty faithful to old images or museum replicas I found. I tried to create simple images that could be easily read on the small blocks. 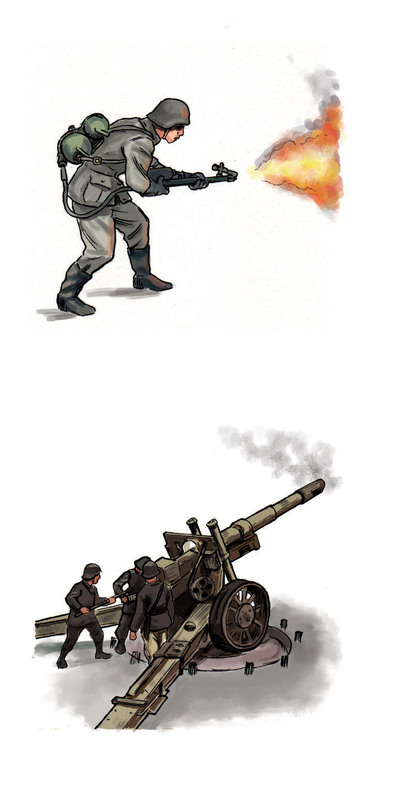 Below is the inked and colored images of the German flamethrower and Artillery units. The Working title for this is K.I.S.S., though that is likely to change. DESIGNERS: Leonard Coufal and Tom Dalgliesh. K.I.S.S is a fast-paced World War II squad level game, employing our wooden blocks. 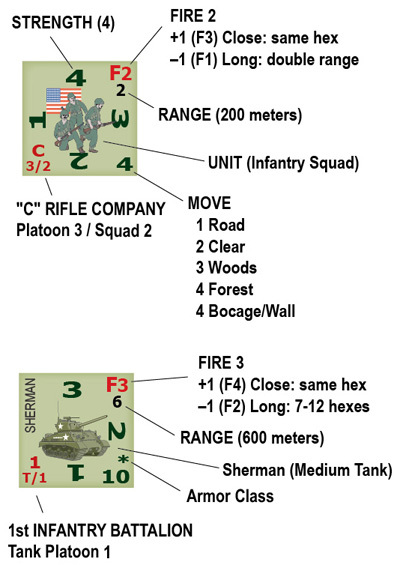 The game system features innovative and interactive rules for Fire Combat, Close Combat, Morale, and Leaders. The game is sophisticated, yet very playable. 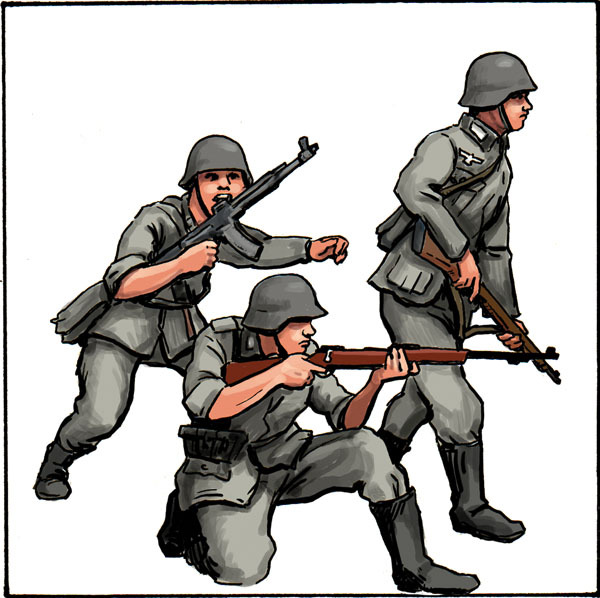 You command a German or American infantry company, composed of three infantry platoons and a heavy weapons platoon. Expansion sets will include British, Soviet, Italian, and Japanese companies. Here is how the images will look on the final block layout. Both of the following images have been reworked for the final game. The United States wins the war in the end. Please be sure to comment or ask questions. Be sure to get your order in now! http://columbiagames.com/wp/wp-content/uploads/2016/09/cropped-cropped-columbia-logo-1-300x300.png 0 0 Richard Luschek http://columbiagames.com/wp/wp-content/uploads/2016/09/cropped-cropped-columbia-logo-1-300x300.png Richard Luschek2012-03-23 09:37:242012-03-23 09:37:24USA, USA!